At the world premiere of “Colette Uncensored,” we are treated to actor Lorri Holt at her most engaging and charming, playing Colette, the writer, in post-WWII Paris. Holt’s Colette has secrets to tell and they roll out in a fascinating narrative about her long and daring lifetime. Her life story in the Twentieth Century, spanning the Belle Epoque, WWI, the Depression, the fall of France, and the Nazi occupation, is told in the course of a breathtaking hour and fifteen minutes. I dare you to take your eyes off this worldly femme fatale with the musical accent. Colette was the author of 50 novels, a Nobel Prize nominee, an early feminist, a gay liberator, an actor, a dancer, a nature lover, and a free spirit. Born in a Burgundy village in 1873, she died in post-WWII France in 1954. Lorri Holt is Colette, in “Colette Uncensored” at The Marsh in San Francisco. Photo Credit: The Marsh. In a soft and sultry French accent, Lorri Holt’s Colette explains how she went from naïve country girl to writer and seductress. She tells of her affection for the countryside and her dealings with aristocrats and peasants, Jews and Nazis, and both male and female lovers. She asserts her right to independence by being independent. She writes novels that chronicle her scandals and her struggles for freedom. Colette bared her breast in bawdy vaudeville, wrote about sexual taboos, including ménage à trois, broke all the rules, and was shunned and boycotted by the snobs of high society. Yet, she succeeded in changing women’s roles by saying NO, and trying new ways. It’s a great pleasure to ponder that query with Lorri Holt as Colette. Holt is a greatly admired San Francisco actress who has been on the cutting edge of San Francisco theater many times since she played Harper in the original S.F. Eureka Theater production of Angels in America. And all we have to do to meet Colette, in person, is go to see Holt in “Colette Uncensored” at The Marsh in the Mission. Paris is that close. Don’t forget to buy a ticket. “Colette Uncensored” by Lorri Holt & Zack Rogow, at The Marsh, San Francisco, is extended through June 25, 2016. For further information, click here. 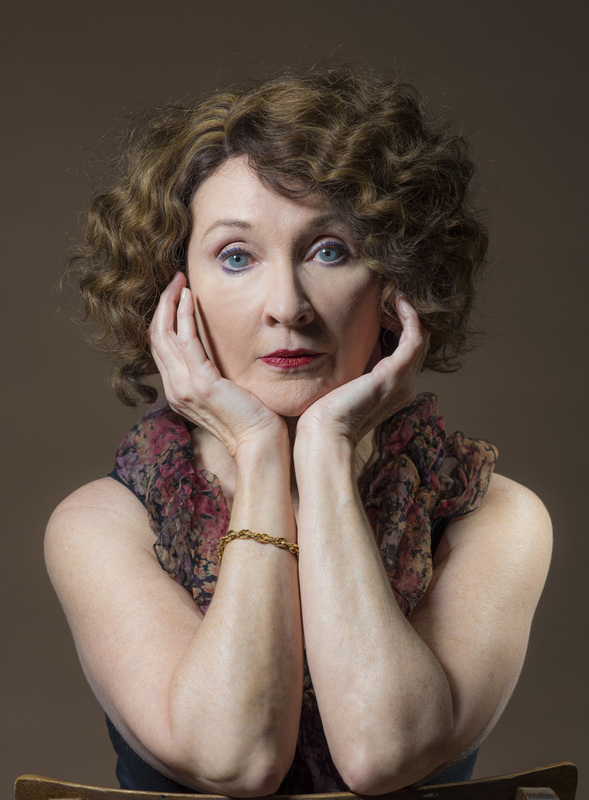 “Colette Uncensored”, a world premiere of a one woman show by Lorri Holt and Zack Rogow, with excerpts from “Shipwrecked on a Traffic Island & Other Previously Untranslated Gems” by Colette, translated by Zack Rogow and & Renee Morel. Featuring Lorri Holt as Colette. Posted in Reviews.Tagged Barry Horwitz, Charles Kruger, Colette, Colette Uncensored, David Ford, Lorri Holt, San Francisco bay area theater reviews, The Marsh, theatrestorm.